Man ejaculates on a lady’s legs while standing in a queue in a bank. 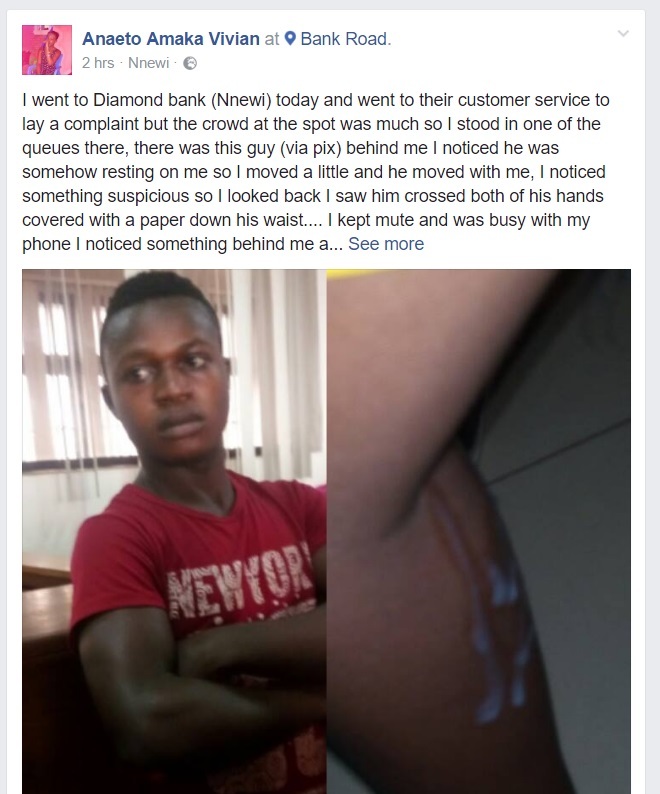 A man has been exposed by an angry lady after he humiliated her in public by ejaculating on her legs in a queue at Diamond Bank in Nairobi. The man who was acting innocent, was standing behind the lady and could resist her incredible body and went on to finish it right there. Another customer who was standing on the queue noticed something unusual about the guy but thought of keeping quiet about it only to realize later after the guy had already completed his mission. Customers then took photos and share on social media. see below.